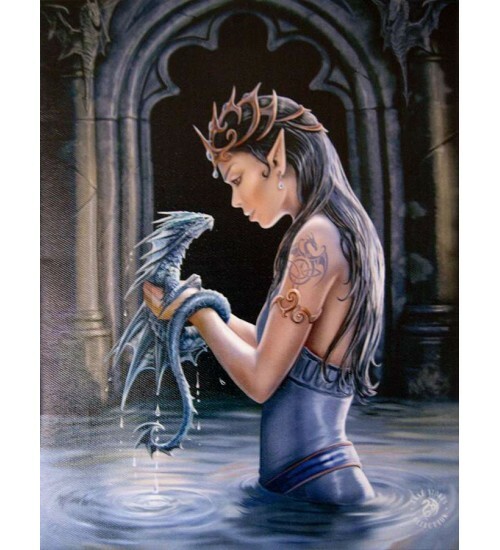 The Mother of Dragons holds a baby water dragon in this stunning art by artist Anne Stokes. 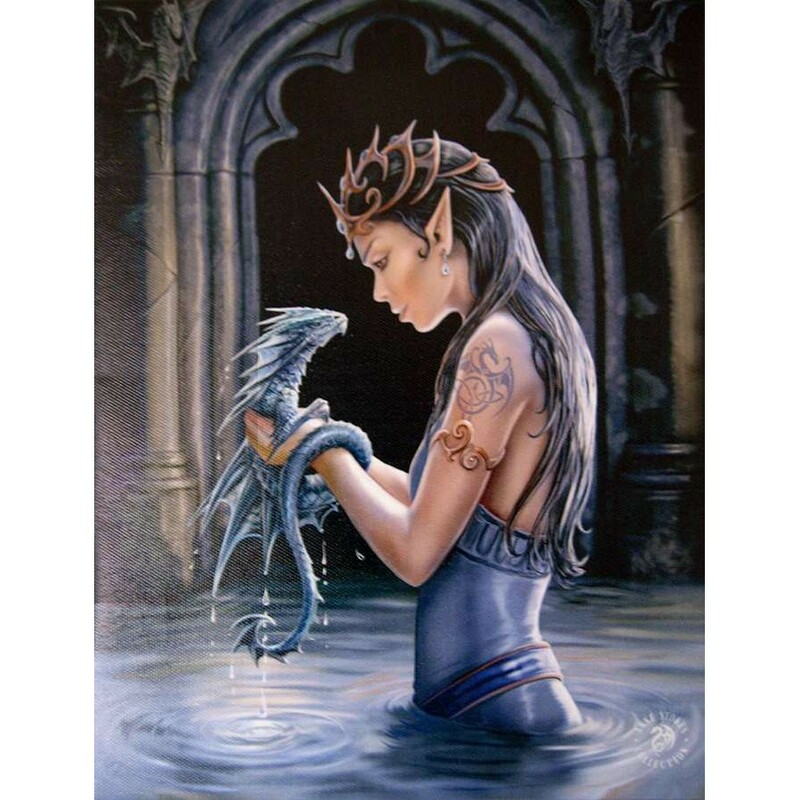 Artist Anne Stokes created this stunning fairy art with each detail meticulously reproduced here from her original painting. 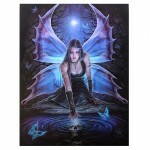 Each mounted canvas art print features full color, vibrant artwork printed on textured canvas and stretched around a wood base frame to create a wrap around print. Can be framed or hung as is with the hardware included. Print is 7 1/2 x 10 inches. Item Number: SK-WP754AS | Approximate Size (Inches): 7.50 wide x 0.50 deep x 10.00 high | Approximate Shipping Weight: 1.00 lbs.